Social Media Management Pros and Cons | KateCoote. Since relocating to Chichester, I’ve been networking a lot! And one of the questions I’m frequently asked by the small business owners I meet is how they can easily stay on top of their social media management when they’re busy doing all the other things they need to do to run and manage their organisations successfully. Hootsuite – The free plan allows you to manage three social profiles in one place, schedule 30 posts in advance and generate leads with social contests. It also includes basic analytics for tracking followers and a few other handy features. Visit Hootsuite. Agora Pulse – Integrates with Twitter, Facebook pages, Instagram, LinkedIn and Google+, and includes publishing tools, engagement tools and lots of analytics. Like everything in life, when it comes to solutions you get what you pay for, and although it’s not free, it comes highly recommended. Visit Agora Pulse. Sprout Social – Allows you to monitor your social media mentions and messages, schedule and publish content, and includes analytics. Visit Sprout Social. However, from a personal perspective, the jury is still out on post scheduling. While I think it’s okay to do this occasionally, it pays to be mindful of that keyword social when you consider your digital channels. If you’re not present to publish your post, then how can you be present to join the conversation that will eventuate from that update? And let’s face it, that’s what it’s all about, joining the conversation. To maximise engagement, it’s essential to treat your social media channels, more like a telephone and less like a megaphone. The other path you can take is to outsource some of your social media management. Again there are pros and cons of this, but a carefully balanced strategy will allow you to take back control of your working day, week, month! As a digital marketer, I stay up to date with best practice and tools to run social media promotions, so you don’t have to! I bring an outside perspective to your business and come up with fresh ideas to help you engage with your audience. I offer value for money as content that I produce can be repurposed and reused across many digital channels, as well as more traditional print media channels. I have worked with many brands across numerous industry sectors and have an innate knack for finding each clients individual voice… But don’t take my word for it, here’s what two of my clients say. Sadly, I can’t always be where you are! This means that to make the most of those on the fly micro-moments you still need to have your finger on your smartphone. 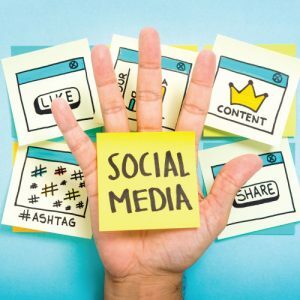 This shouldn’t be viewed as an obstacle to outsourcing your social media management, but just as a great collaborative way to manage your channels. I’m based in the Chichester area, but work with clients all over the world, if you’d like help with blogging, content management or social media management please contact me!